Everybody barfs. Dogs, cats, chickens, alligators, and even you. It happens to everyone, and sometimes it even happens . . . at school. 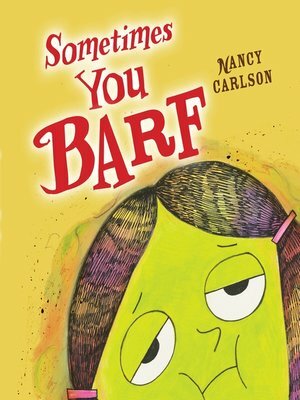 With her characteristic humor and compassion, Nancy Carlson helps young readers through what is often a scary and embarrassing rite of passage. Sometimes you barf. But it's OK. You get better!